A little war over food labeling has been going on in our food aisles, and it is much more important than you may think. You may be asking, “what’s the problem, isn’t everyone for the labeling of our foods?” Well, many conventional food producers contend that labeling will cause confusion and fear – and you don’t fear what you don’t know about. Many of us have gotten comfortable with Organic labeled food. We trust that, while organic may not necessarily be any healthier for us, it does come without additives and pesticides, and utilizes friendlier farming practices. Organic can be expensive, and many farmers are committed to the traditional way of raising and producing food in a natural way outside of organic standards. These middle ground farmers are not currently recognized for their placement between the strict organic guidelines and new technology driven factory farms using hormones, synthetics, genetic engineering, and pharmaceuticals to boost production and profits. This is where the battle begins. The Food and Drug Association (FDA) has strict regulations about when a drug is approved. It must pass a litany of tests, undergo testing in the lab, testing on animals, testing of dosage; all before it goes into heavily monitored human trials in which the patients are well aware of potential dangers. Even after that, all side effects must be disclosed, and you must gain a prescription for the drug from your doctor. Our food on the other hand is just the opposite. An additive or ingredient must be proven to cause harm before it can be regulated by the US Department of Agriculture (USDA). Without labeling, you aren’t able to make basic decisions about your food, or what extras goes into it. The perfect example is the use of ractopamine in pork. Banned in 160 Nations including the whole of the European Union, China, and Russia; Ractopamine is a ‘growth promotant beta-adrenergic agonist’, or a drug that stimulates rapid muscle growth. The reason farmers use this drug is to increase the size and weight of their pigs prior to slaughter, eeking out a bit more profit. NPR produced a story in August of 2015 after certain pork producers and pig farms elected to start labeling their products as “Produced without the use of ractopamine.” to differentiate themselves from conventional farmers. Additionally, a more recent episode of Dr. Oz explains the use of Ractopamine in pork and how the additive works to a larger, more aware public audience. This has created a frenzy among conventional pork producers and the U.S. pork industry since Ractopamine is used in an estimated 60-80% of American pigs. The National Pork Producers Council (NPPC) is now demanding that the European Food Safety Authority allow pork from pigs fed ractopamine into their market, leveraging trade agreements between countries. Meat labels have to get approval from the U.S. Department of Agriculture, which is supposed to make sure that labels are not false or misleading. 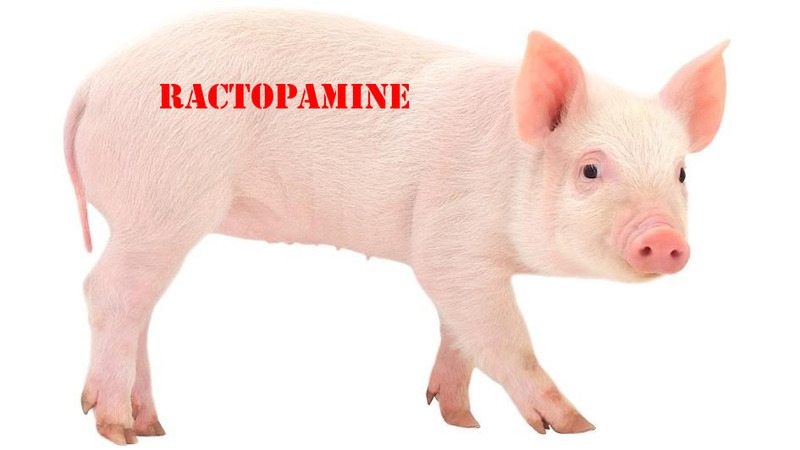 “No ractopamine — a beta-agonist growth promotant” is what was approved by the USDA (over “Our pigs are never fed beta-agonists, like Ractopamine — drugs widely used as artificial growth promotants in the pork industry today.”) citing the potential confusion to consumers. It is a big win for labeling, but the fight isn’t over yet. “When you put a label like that on there, it will immediately make the consumer think, ‘Well what is this? It must be something bad,'” says David Hardin, a conventional pork producer in Danville, Ind.. He has a point, but that just speaks to the level of awareness of the general pubic today. Food production has radically changed over the last 50-100 years. What was called ‘conventional farming’ back then is now called ‘Organic’. Today, 90% of soybeans grown in the world today have been genetically engineered. Times are changing and in this new world of bio-chemistry and genetic engineering, shouldn’t we know what is going on with our food? I implore you to look into the effects animal agriculture has on the environment. It is anything *but* sustainable. Environmentalists should not consider animals or animal products food as they waste so many resources, contribute to deforestation, pollution of waterways, eutrophication of waterways, antibiotic resistance in humans, epidemics of inter-species flus, global warming, etc. If you want to know more, check out a documentary on Netflix called Cowspiracy.